Watershed Materials Develops Technology to Produce Beautiful, Sustainable Masonry with Less Cement Using Recycled Materials. Cement has a giant carbon footprint and is the most expensive component in today's concrete masonry. Watershed Materials, with the help of the National Science Foundation, has developed proprietary mix designs to produce durable, resilient, affordable, and beautiful masonry with less cement. Our technology unlocks the strength in the minerals all around us - limestone, granite, rhyolite. Rock forms in nature over the course of millions of years as pressure fuses loose grains into solid stone. Watershed Materials has developed technology to activate this process in seconds rather than millennia. 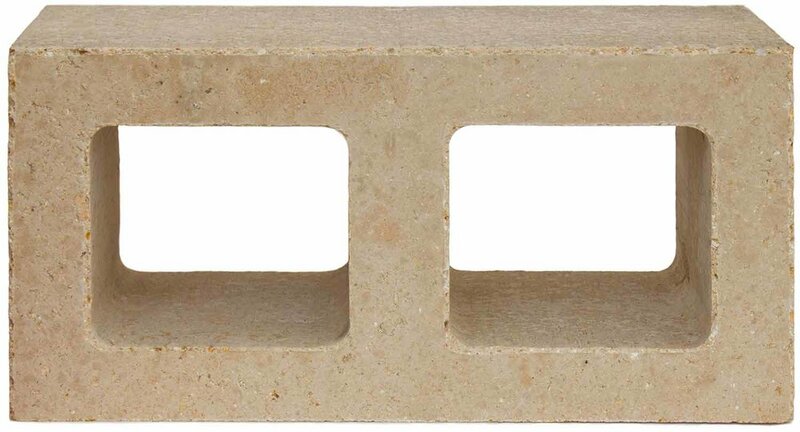 Watershed Materials' market-ready product - Watershed Block - offers up to a 50% reduction in cement and a 65% reduction in embodied energy compared to conventional concrete masonry. Watershed Materials' geopolymer technology and lime slag mix design offer a future of zero cement. 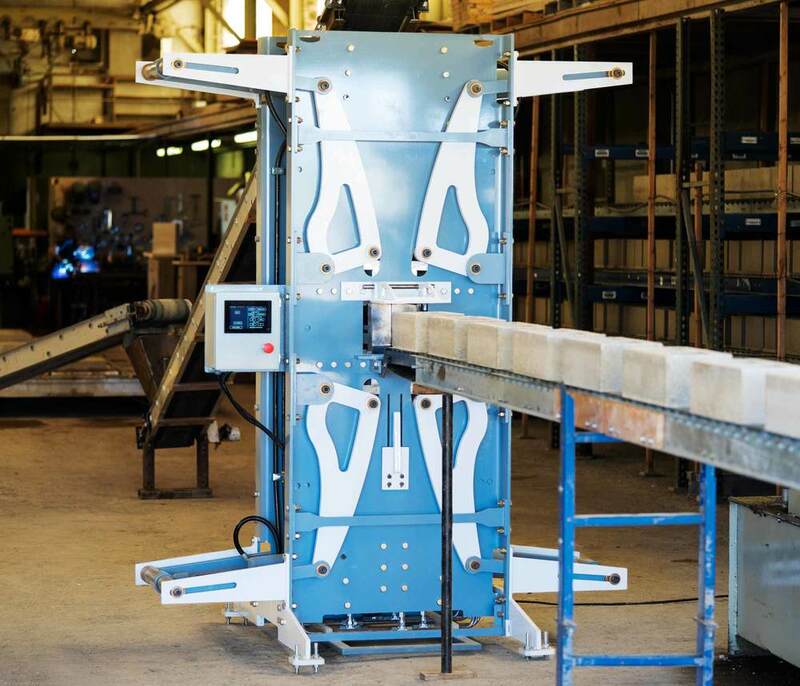 Watershed Materials received a $740,000 grant from the National Science Foundation to create a revolutionary new machine to mass produce structural masonry. We're applying an entirely new strategy to efficiently produce low cost, low cement masonry from a wide range of materials including locally sourced minerals, quarry by-product, and even recycled concrete. Watershed Materials offers a new machine for a new age of masonry that combines ancient technology first pioneered by the Romans with modern nanoparticle science. Get in touch if you're interested in our block machine technology. Post-industrial recycled materials including quarry waste or recycled concrete - used raw without washing or intense processing - can be used to produce beautiful masonry that expresses the beauty, warmth, and regionalism of local materials. Watershed Materials' technology incorporates no colorants, dyes, or artificial pigments. Surface finishes are not required, eliminating concerns over volatile organic compounds (VOCs) and other harmful coatings. Watershed Materials has developed a solution to produce high strength masonry with a low carbon footprint using natural mineral based geopolymers. The technology allows for natural clays found readily all over the planet to be turned into reliable masonry products and offers a sustainable alternative to traditional concrete masonry. Recent test samples of geopolymer mix designs have achieved compressive strengths of 7,000psi - twice the strength of ordinary concrete - using no cement, no fly ash, no blast furnace slag, no metakaolin, and requiring no high temperature kilning or curing. 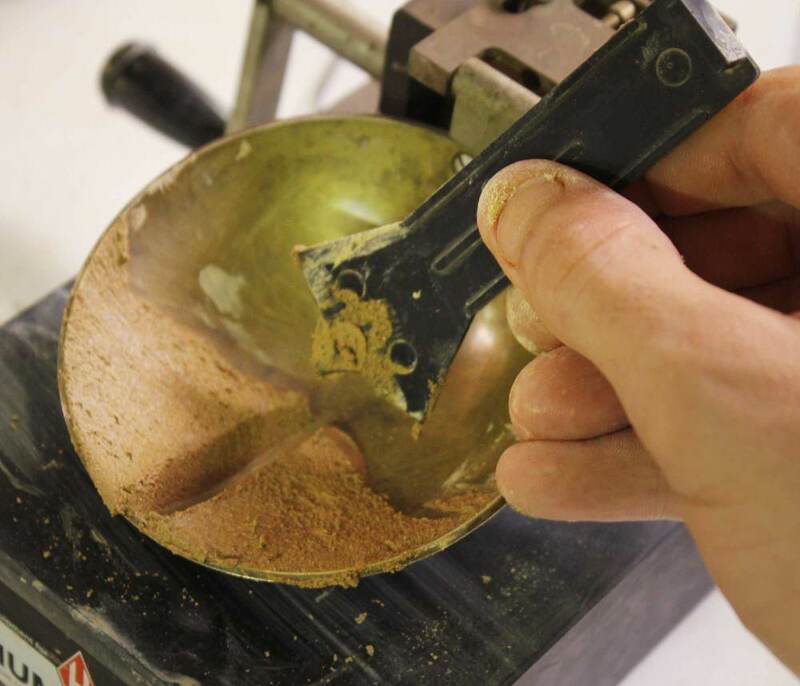 Along with the high compressive strength, the geopolymer mix design formulations have demonstrated remarkable resistance to water and chemical erosion. Introducing Watershed Block™. Beautiful. Affordable. Resilient. Sustainable. Tens of billions of concrete block are produced every year, containing too much cement and too little regional character. Watershed Block offers a new approach to concrete masonry that embraces modern aesthetics, regional materials and a respect for our natural environment.